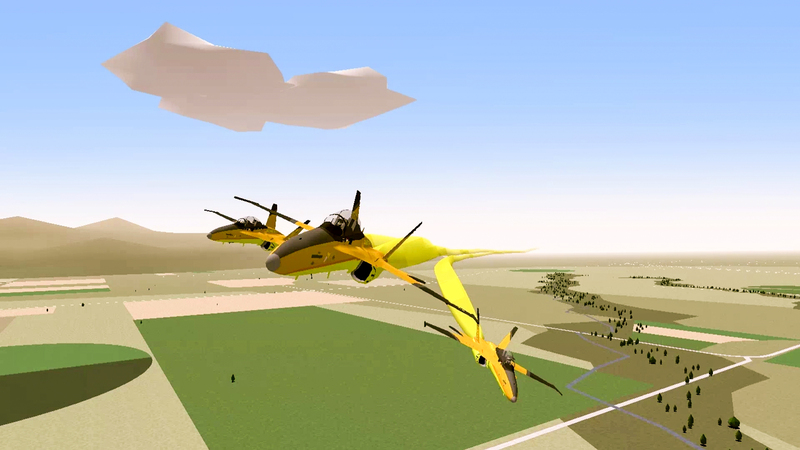 Look to the skies over Rockford, Illinois this January 20th to experience some of the most exciting and adrenaline-pumping air displays coming to the YSFlight community this 2019! Join us as we kick off the 2019 season with brand new pilots, aircraft, and displays. From the F-14A Tomcat to the MiG-17, we have it all heading out to Chicago-Rockford International Airport for this brand new type of showcase. 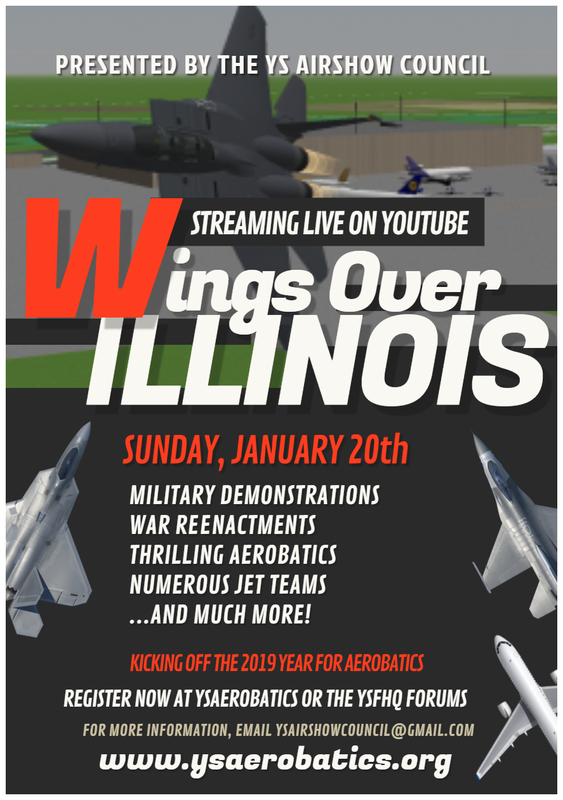 The Wings Over Illinois Airshow will be available to spectate LIVE in-game as well as broadcasted live on YouTube thanks to services provided by the YS Airshow Council. Live communications and audio feed will be provided by the YSFlight Thunderbirds’ Discord Server, available below. So what are you waiting for? Get to packing those sunglasses and lawn chairs and we’ll see you there! 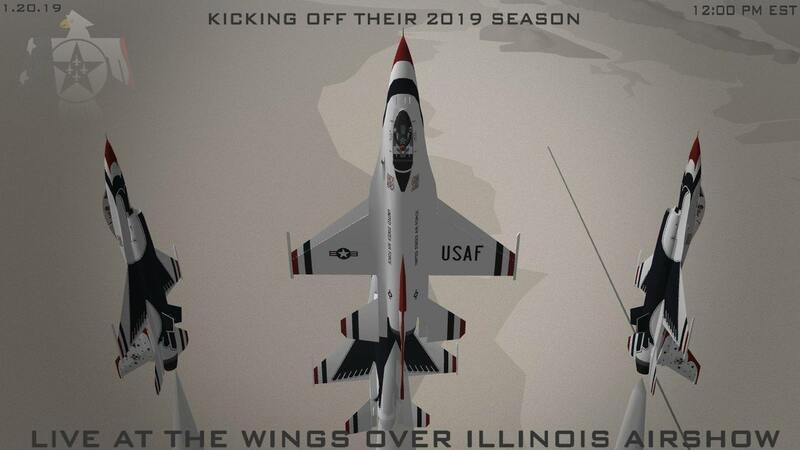 To register for the 2019 Wings Over Illinois Airshow, we provide two registration methods. After registering through either one of our two methods, you will be added to the schedule at our earliest convenience. Feel free to use the online YSAerobatics entry database or simply reply to this thread using the following template. Opening Ceremony | Downloads included in rest of schedule. 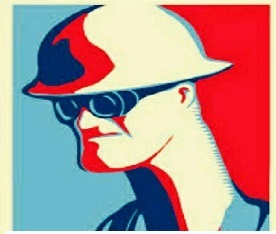 Have any questions, comments, or concerns about the event or any related subjects? Don’t hesitate to email us at [email protected] or contact Indy on Discord. Last edited by Indy on Sun Jan 13, 2019 9:58 pm, edited 49 times in total. Last edited by Blyatmir on Sun Dec 30, 2018 6:25 am, edited 3 times in total. 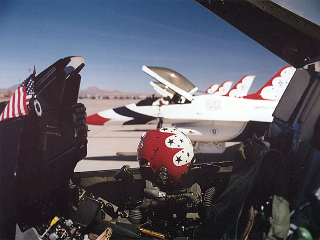 The T-50A is made to train 5th Generation pilots by Lockheed Martin and Korea Aerospace Industries. 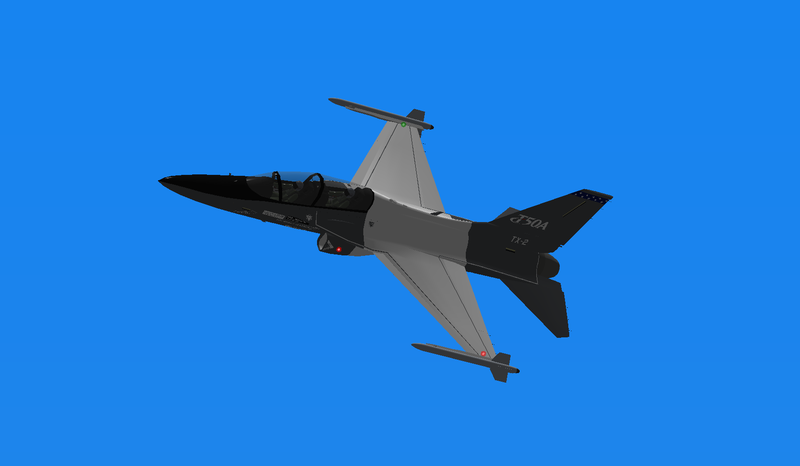 The T-50A is originated from the KAI T-50 Golden Eagle, the bestseller super-sonic jet trainer, and designed for the U.S. Air Force T-X Program. 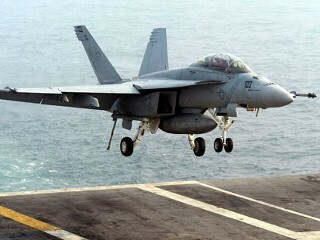 It has simillar flight performance with F-16 or F-35 that already operated by the U.S. Air Force so the pilots will quickly trained. In YS Flight, There was only a medium-quality T-50. So, YS Flight Korea community launch the project known as HD T-50. What you are looking at is the result from it. Remember, this aircraft is on development, rare to see. In this time, the T-50A will perform its full display including from engine start to park. It will take 20 minutes for full display and demonstration will take 13 minutes. Come to Wings Over Illinois air show and meet the T-50A in first public demonstration! Last edited by Hornet on Wed Nov 28, 2018 1:05 pm, edited 6 times in total. Last edited by Indy on Sat Jan 05, 2019 12:32 am, edited 1 time in total. Remember, we're still looking for all types of performers and performances for the upcoming show. If you have any questions about registering, please drop a question below or contact us on the YSFlight Thunderbirds Discord server! As for registered pilots, please update your original post with your aircraft download link as soon as possible and contact Indy via Discord to work out any audio-related logistics! Thanks, and we hope to see you all at the show! Last edited by Belmont on Wed Jan 09, 2019 11:59 pm, edited 3 times in total. Last edited by Blyatmir on Sun Dec 30, 2018 4:15 pm, edited 2 times in total. Be sure to register before it's too late! See you all at the show! 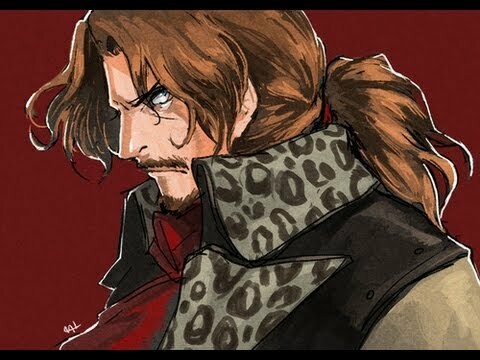 Remember to join the Discord server for show updates. Remember to join the Discord for daily updates on the upcoming show! We're only 4 days away! 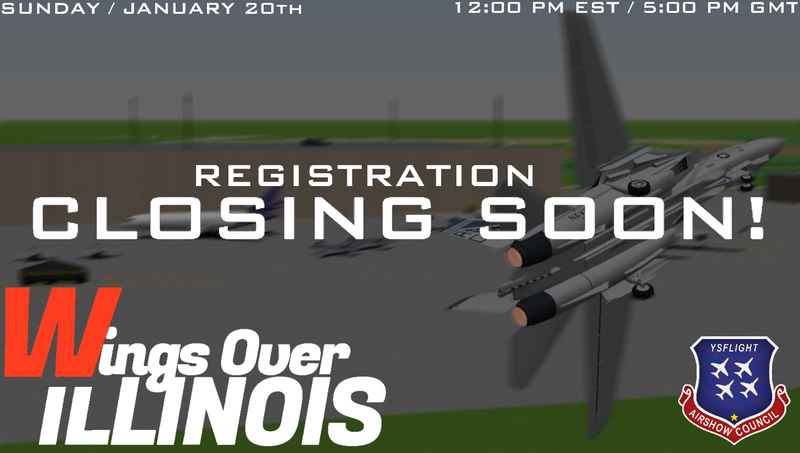 Performers: please direct message me on Discord if you have not received the 'Wings Over Illinois Participant' role. We're only 1 day away! 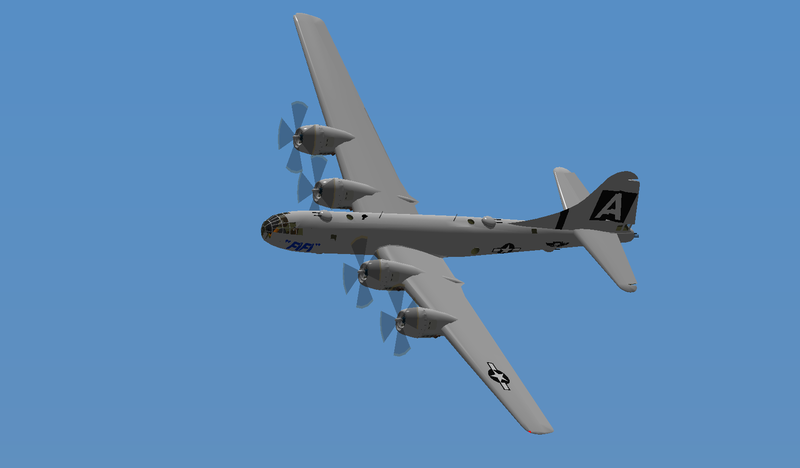 Be sure to download the aircraft and join the Discord server! We can't wait to see you all there! Thanks to everyone who came out for the show. Buster and I had a great time hosting and flying with everyone. Videos & photos from the airshow will be posted on the thread when finalized.